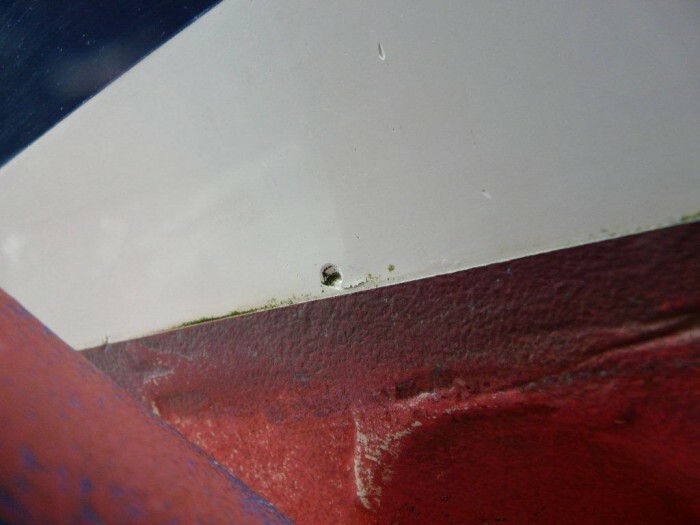 As I keep harping on, take in the bigger picture and get your crew/helpers to do the same, I was in the local boatyard yesterday and ended being asked a question about rope cutters, whilst standing next to the guy who had just finished antifouling his superb Rustler I noticed some small nicks in the gelcoat of the sloping transom. Worth doing? 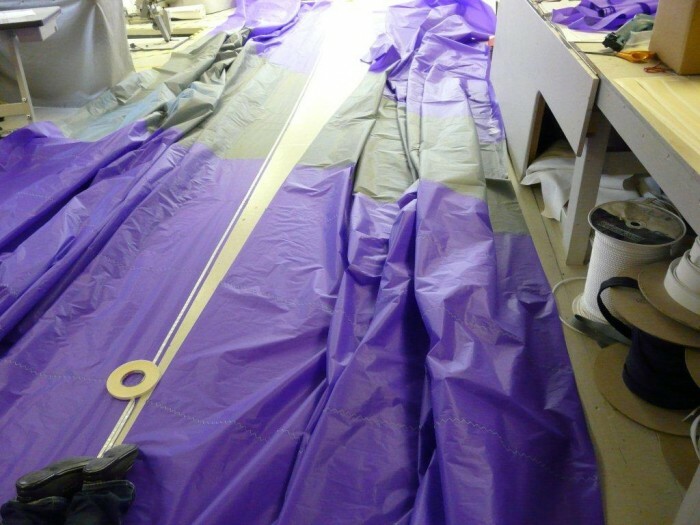 Of course it is, you don't want moisture in the laminate, if a deeper cavity than that in the attachment use Plastic Padding Marine Filler (above waterline use only) follow with Plastic Padding Gelcoat filler in white. Incidentally it's not rocket science, even I can do it! Other materials/tools you will need inc Acetone, clean cotton rags, selection of wet and dry in various grades and a sanding block. Remember of course, if you are filling in chips/gouges underwater the filler you use must be epoxy like Plastic Padding's epoxy filler, International's Watertite or my favourite and good value Epifanes epoxy-filler 1300. This entry was posted in General Interest, Tips and Advice, Outwards & Upwards and tagged Epifanes, International Paint, Plastic Padding on May 31, 2013 by Rob Storrar. Plastic sail slides and shackles, take a battering from UV exposure, freezing temperatures, v-occasional hot days (up here in the North) and a little bit of misuse! 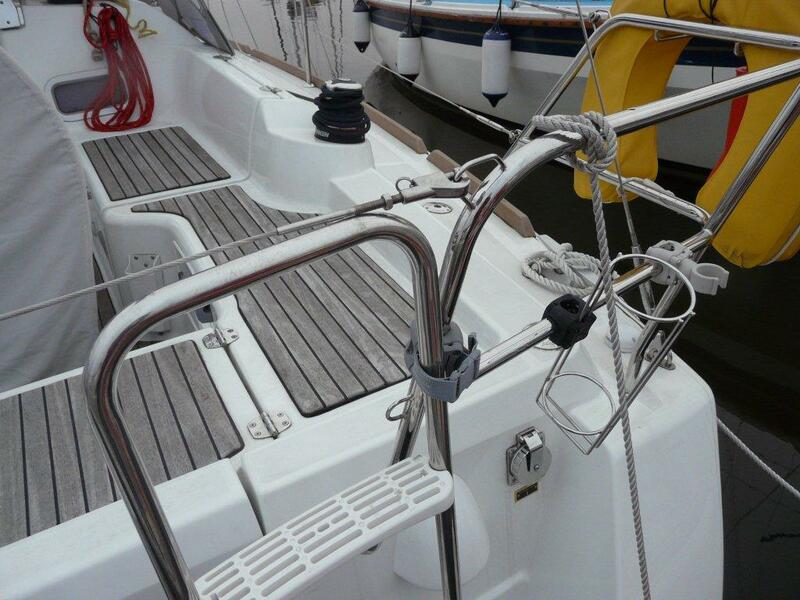 The slides and shackles that take the hammer are the top one (often attached to the headboard) and the ones adjacent to the reefing points. If the sail is over a few years old its worth changing these, for what they cost. 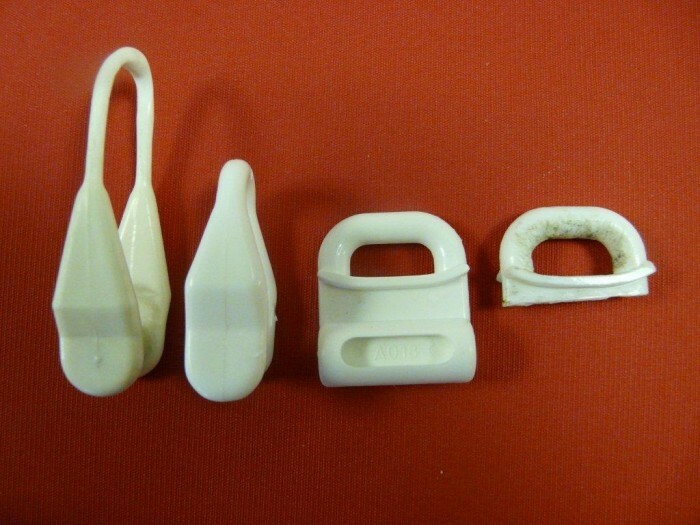 There usually is a letter/no moulded in the component for easy identification, as sail makers as well as a 'proper chandler' who also retails on the internet we do stock most slides and shackles. To take the grunt out of hoisting your main at the beginning of the season and during the season its worth investing in some McLube high performance dry lubricant, brilliant to help reduce friction. 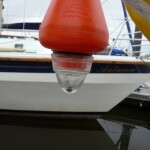 Another product which is excellent for sail and track lubrication is Smooth Sail comes in a 500ml trigger spray bottle. This entry was posted in General Interest, Tips and Advice, Sails and tagged McLube, Smooth Sail on May 30, 2013 by Rob Storrar. 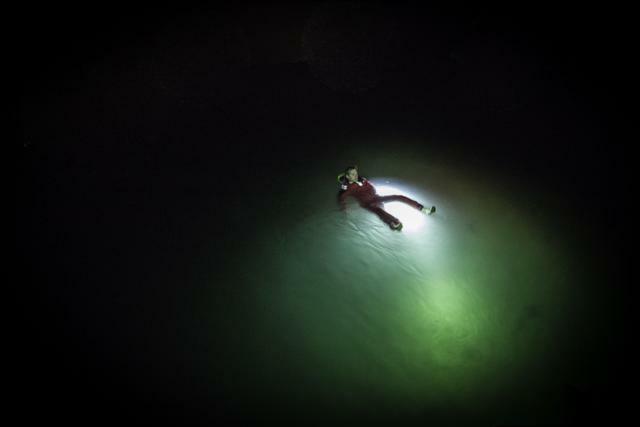 With the overnite race/cruising season now almost upon us, working on deck in the dark you need a reliable, bullet and waterproof torch that you can rely on. 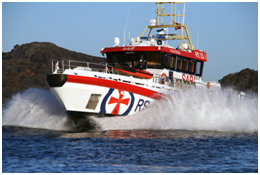 The X2 ‘searchlight’ has been endorsed by the Norwegian Sea Rescue Association and is mandatory for the world’s largest overnight race, ' 'The Færder ' which starts on the 7th June 2013 has over 1100 boats taking part. Incidentally, The X2 has been named as 'one of the ten best bits of boating kit 2013' in Motor Boat Monthly. The high power X1 however is proving very popular. 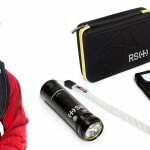 Its features include red and white output, S.O.S, strobe and positive buoyancy. As a personal torch the little XS can be worn around the neck with the lanyard supplied, the bright yellow silicon band apart from helping one find it, enables hands free operation if you ‘hold it between your teeth! 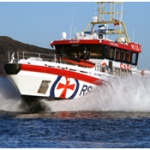 This entry was posted in General Interest, Race News, Events, Products in the spotlight and tagged Exposure Marine Tourches, The Færder, X1, X2, XS, Norwegian Sea Rescue Association on May 29, 2013 by Rob Storrar. How many of us regularly flush their aux outboard in fresh water after using it? As the image shows, it's certainly worth investing in a pair of muffs so can run the engine and clear any deposits out. 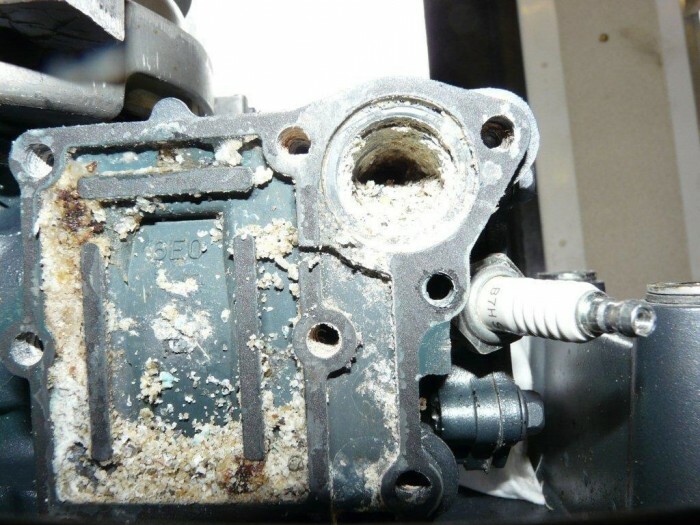 If you have been a naughty boy and occasionally lapsed, Rydlyme Marine is a safe biodegradable marine descaler, which offers a simple, safe and effective way to remove marine growth from your water cooled marine equipment. Having said all that it would probably take more than Rydlyme to clear out these cooling channels! 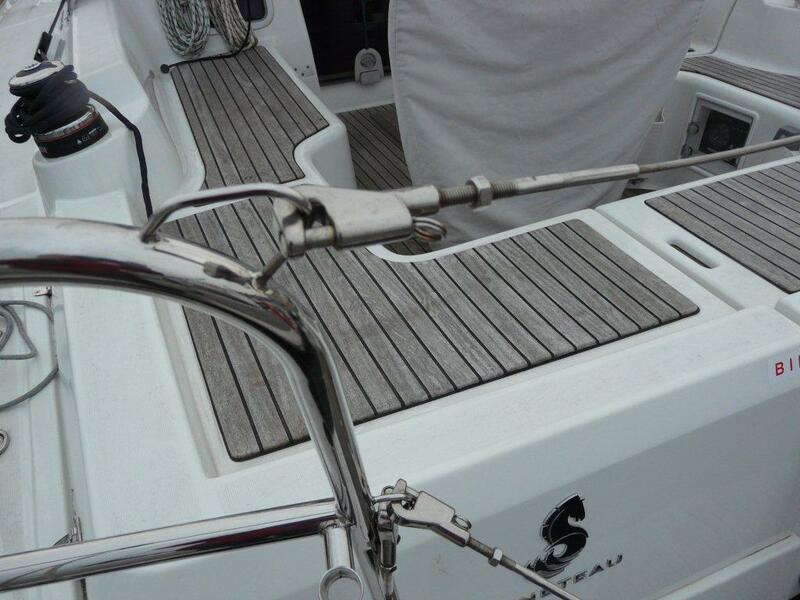 This entry was posted in Top Tips Tuesdays and tagged Rydlyme Marine, Outboards on May 28, 2013 by Rob Storrar. 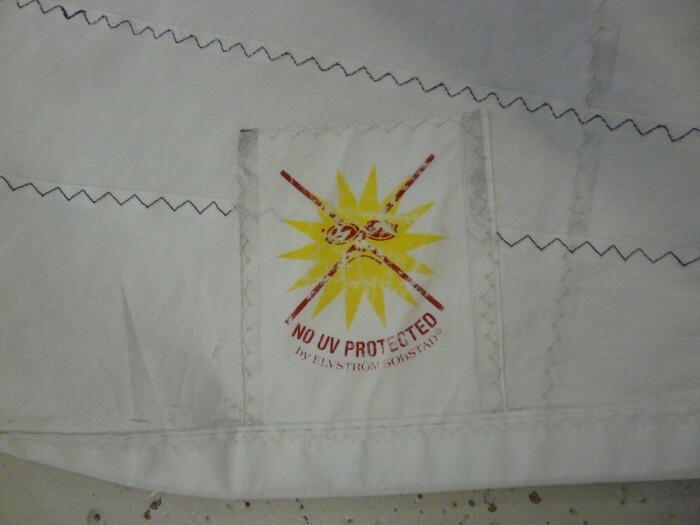 There are a number of ways you can protect your roller reefing genoa from UV damage and yes even though we have had precious little sun this year it's a hidden destroyer! 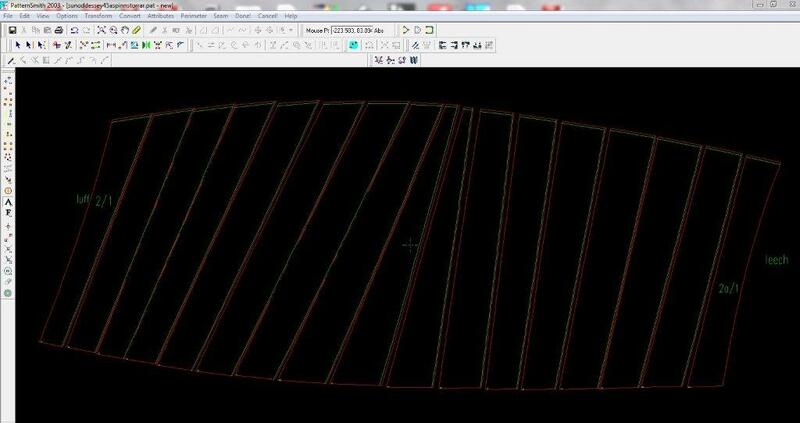 To protect such an expensive asset as a genoa you can fit a sacrificial strip.... the plus side is you furl and forget, the minus? 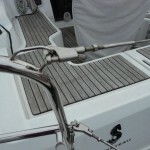 The strip will need replacing after a period of time and there is a danger of the sail blowing out and self destructing whilst your yacht is moored. 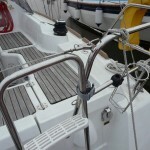 If you don't fit a sacrificial strip you can lower and store the sail below deck after each trip, advantage is less weight, so sail sets a lot better in light airs, downside if it's windy when trying to re hoist/lower can become an issue. Third and my own personal choice is to do not fit a strip but make up and use a genoa cover which is hoisted up on the spare halyard after you're finished for the day. Plus points, never any danger, on a windy day, of the genoa breaking free and the sail is lighter so performs better in light airs. 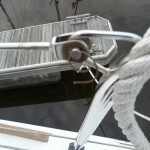 The downside, it is a bit more expensive than a sacrificial strip and takes a little longer to put the boat to bed. This entry was posted in General Interest, Tips and Advice and tagged Storrar Marine Chandlery Sail-Loft on May 28, 2013 by Rob Storrar. On May the 13th I blogged that each time you come down to your boat, you should cast your eyes around and also get your crew into the habit. Yesterday I was on a rather nice three year old Beneteau setting up the rig and as I was working away noticed a few things that required attention. Avid readers you would be staggered at the number of man overboard lights that I come across with water in the clear lens! As my first image shows this particular light not only contained water but the bulb had fallen out, bad news methinks for the guy who has just fallen overboard at night! Me, I think that the Jotron Tron SL-300 which we retail at £45-95 is a far superior peice of kit than the usual MOB light. Pelican hooks, you will of course have noticed that the lock nuts have come loose, maybe not life threatening but you never know, touch of Loctite to the threads and then apply the spanner! Finally, I am not a fan of split rings, yes they are easy to undo however they are easy to catch on clothing , they can unravel with potentially fatal consequences! If there is no reason to undo each time you are on the water my recommendation is a split pin, open it up, taped with self amalgamating tape and then if you want to make shiny PVC tape, job done! 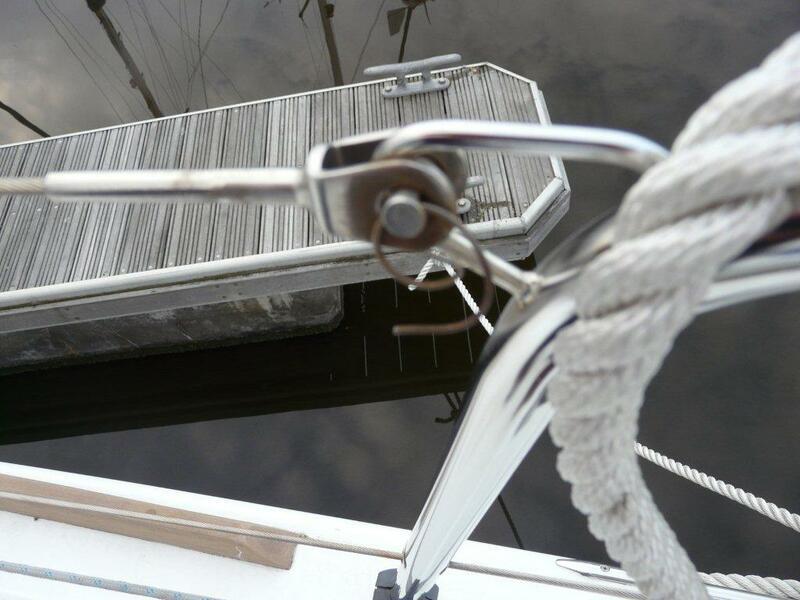 This entry was posted in General Interest, Safety, Tips and Advice, Outwards & Upwards and tagged Jotron, Loctite, Pelican hook on May 24, 2013 by Rob Storrar. Are fender socks or skirts a good idea? 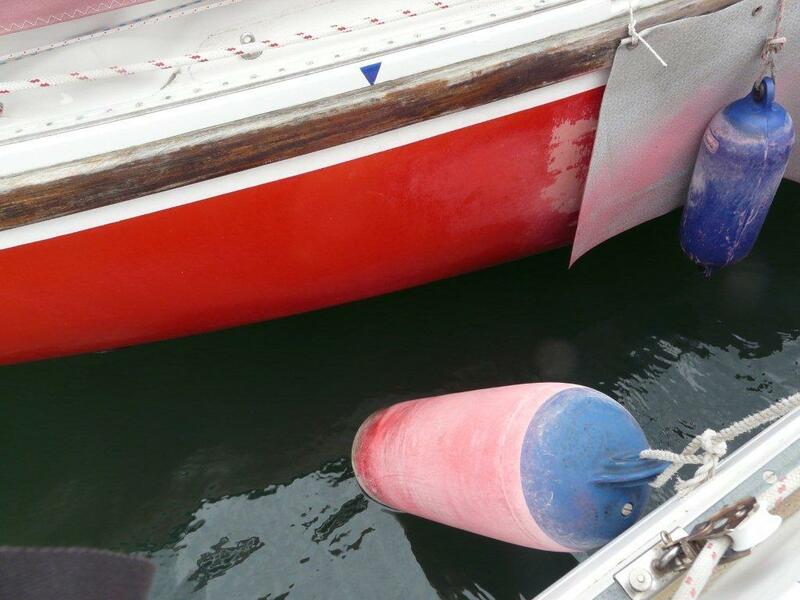 Most skippers think they do provide a good level of protection against gelcoat/paint damage, however regardless if you do or don't what you must always do is keep both fenders and skirt clean especially if the environment is hostile! Situation we had at our local club early spring was very strong South Easterlies blowing sand off the beach and into the atmosphere, as can be seen from the image the damage done to the paint finish on the adjoining yacht is quite extensive. For keeping fenders in pristine condition regular washing is essential especially if the conditions are poor, then to bring them back to as-new Universal Stone gets my nod. Fender socks, I like the Fender Stocking material which is supplied in roll form and you just cut off in lengths to suit, they do say they are sand resistant, however I would still wash on a regular basis. 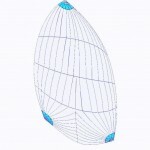 Fender Fits are available for round as well as tubular fenders, they come in a choice of two blues, but other colours are available to order. The Blue Performance Hull protector is a smart way of helping protect your hull, it is available in two sizes however if neither size fits the bill, we can always make to measure. 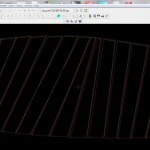 This entry was posted in General Interest, Products in the spotlight, Top Tips Tuesdays and tagged Blue Performance, Universal Stone on May 21, 2013 by Rob Storrar. The value of carrying an EPIRB is highlighted when you read the ‘four rescues’ posting. What has put some people off purchasing one in the past has been the fact that the battery has to be factory changed at a cost of maybe £240-00. New to the market is the Ocean Signal SafeSea E100 available at our discounted price of £329-95, replacement battery (which you can change yourself) only £114-00. The SafeSea E100G, which is the GPS model is available from us at a discounted price of £449-95 and uses the same user changeable battery. Apart from the benefit of being able to change your battery when the 5 years is up, Ocean Signal advise that it is non hazardous so can be carried on aircraft without any problems and provides an impressive 96 hour minimum operation. 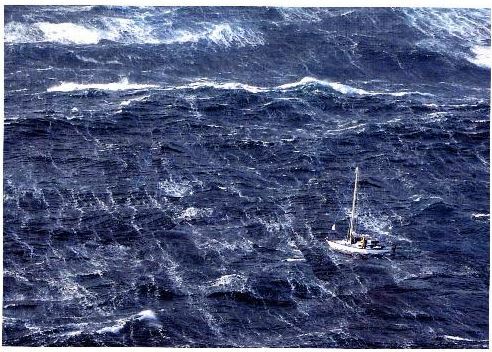 (Image above taken during Mr Wilson's second rescue). 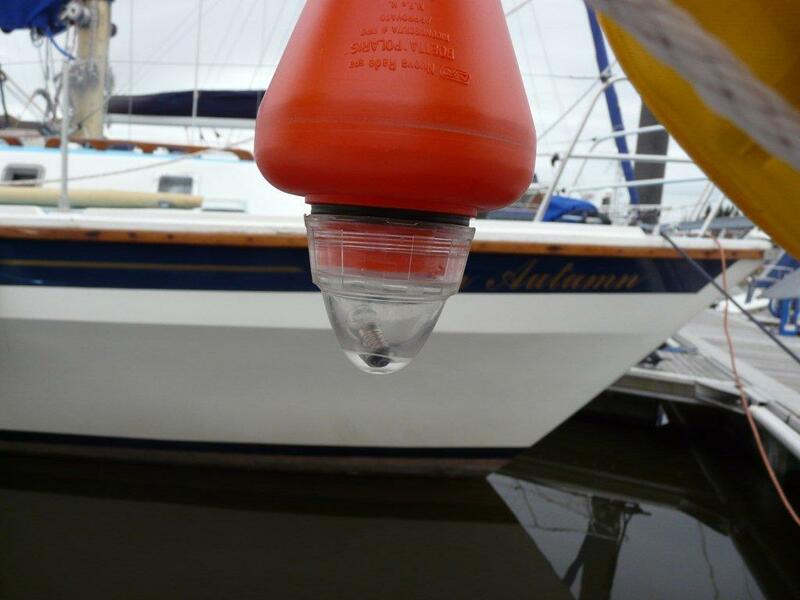 This entry was posted in General Interest, New Products, Safety, News, Products in the spotlight and tagged Epirb, Ocean Signal on May 20, 2013 by Rob Storrar. Our sailloft keeps on ticking away manufacturing cruising and racing sails, superbly designed by sail designer Chris Owen who incidentally is a former employee of mine from many moons ago. We use only the finest Contender or Polyant fabrics, not 'sailcloth' sourced from China or Taiwan, the fabric is plotted then laser cut for accuracy, glued and sewn, with loving care, by the guys in our Newcastle sail loft with years and years of experience. These panels on our loft floor will, when sewn together, make up into a tri-radial cruising chute for a Sun Odyssey 45, later this year the owner heads South to the Canaries and then crosses the Atlantic with the ARC to the Caribbean, lucky man! 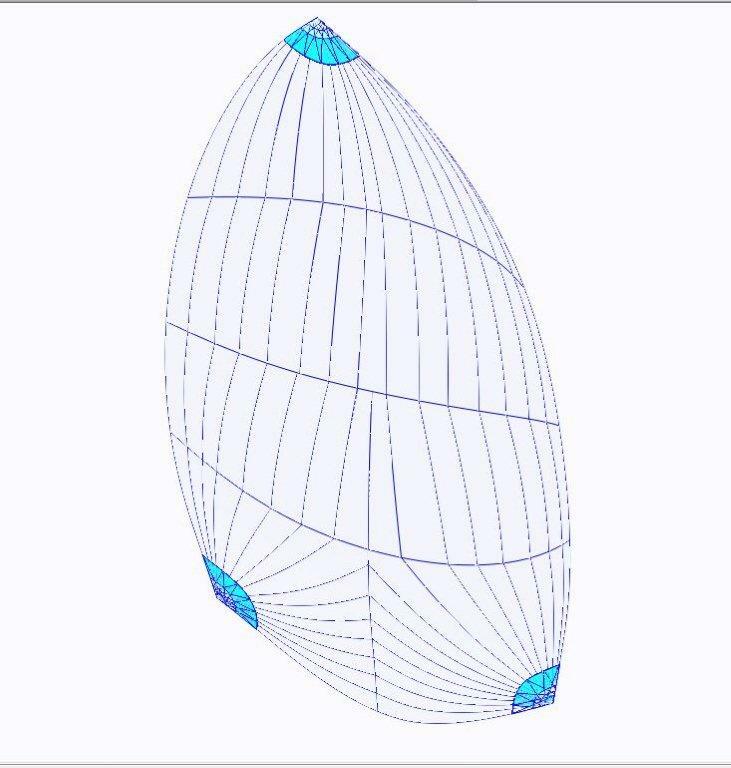 This entry was posted in General Interest, News and tagged Sail Loft, Contender, Polyant fabrics on May 17, 2013 by Rob Storrar. 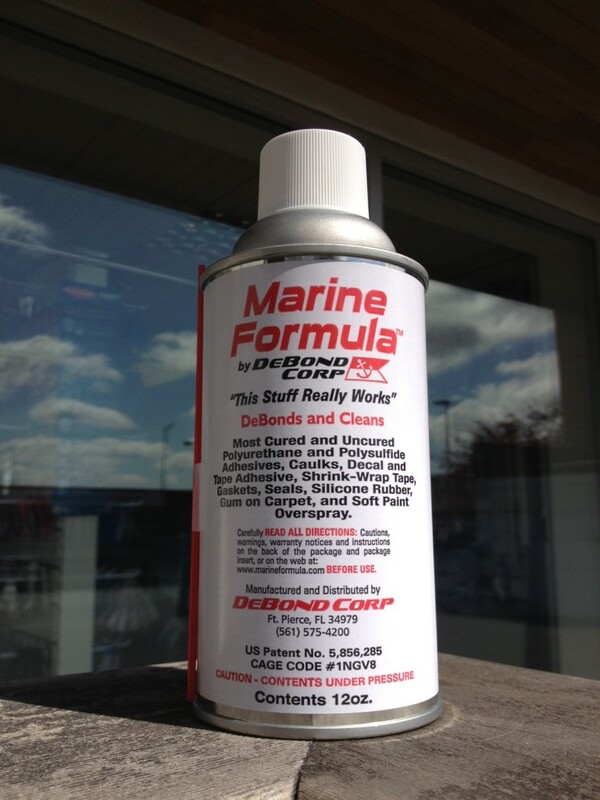 It is but rarely that after nearly forty years in the Marine Trade that I get excited about a new product, however MARINE FORMULA by Debond Corp has got me going and thats a scary sight! At last a product that will remove a fitting that has been glued and bedded down with Sikaflex! It will also Debond cured polyurethane adhesives, Caulks, Decal and Tape film (including gaffa tape) Graffiti spray paint and chewing gum from Carpets! This entry was posted in General Interest, New Products, Tips and Advice, Products in the spotlight and tagged Sikaflex, DeBond on May 16, 2013 by Rob Storrar.